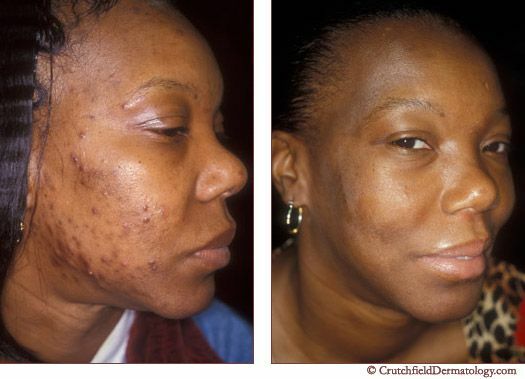 Acne is the condition of having pimples on the face and/or the body. If one or more pimples are very red and the area becomes inflamed and sensitive, consult your physician. Natural Aloe Vera liquid Soap / Avocado Soap. Wash face at least twice a day. 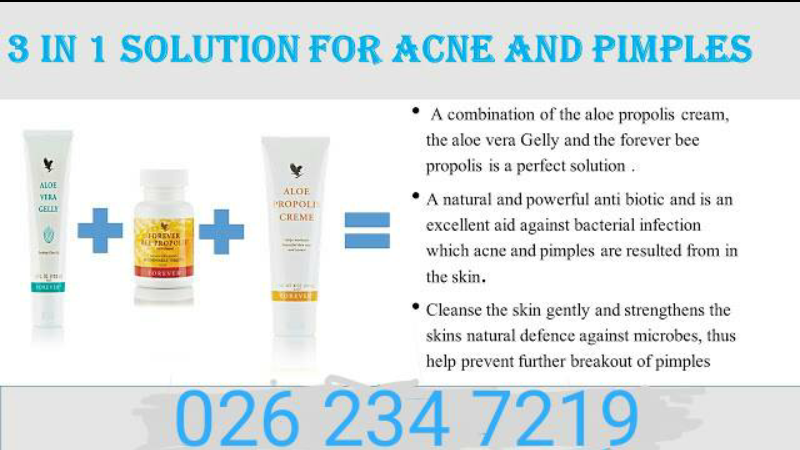 The aloe deep cleanses and is an antiseptic. Does the 3- in 1 come with a money back guarantee? INTRODUCING TO YOU THE FOREVER 3-IN-ONE SOLUTION FOR ACNE AND PIMPLES . NO SIDE EFFECTS AND EFFECTIVENESS GUARANTEED. THE FOREVER 3- IN 1 SOLUTION FOR ACNE AND PIMPLES have also been approved by various agencies round the world including the Kosher Seal which is the highest form of approval in the world that any product can have. We have an efficient Payment on delivery service system in ACCRA . This simply means that You Only Pay FOR 2-IN-1 ON DELIVERY IF YOU ARE IN ACCRA FOR GHc320. PS: We understand the importance of PRIVACY. We shall package this product very well and none else but you will understand what this package is all about. Take Advantage Of Our Monthly Bonanza And Get your FOREVER 3-IN 1 SOLUTION FOR ACNE AND PIMPLES FOR GHC 320 ONLY.